Just about every real estate website offers a service where computer calculations look at public record data, recently sold properties, recently listed properties, and then aggregates all of that data to then provide an estimated value of what they think that specific home is worth. It’s a fun concept, and theoretically, it should give you a fairly realistic number of what a specific home is worth. The problem, however…is that it doesn’t. The problem is that a home’s value is extremely intricate – and public record data only makes up for a small portion of a homes value. 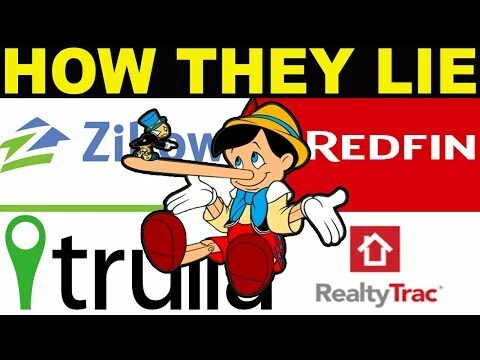 Consider this, what Zillow and similar websites do to create their estimate is aggregate public record data of all nearby homes based on Zip Code and Street. They first compile a list of every single home’s LISTED square footage, bedrooms, bathrooms, and lot size. This creates their base from which to work from. From there, they look at recently sold properties within those areas to determine a base price per square foot. They then compare that data with the sale price of every single home and create a guideline of what price they THINK that specific home is worth based on that data. At a very basic level, it works…from a numbers standpoint, you look at how big the home is, how big the lot is, how many bedrooms and bathrooms it is…and you compare it with something similar to that which recently sold within that area. Or they use a combination of average price per square foot, and come up with an average value. The Washington Post recently did some research, and determined that only HALF of Zillow’s estimates fell within a 5% range of value…that means more than HALF of estimates are off by more than 5% either OVER or UNDER. Zillow itself claims that 75% of homes sell within a 10% range, higher or lower, and 89% of homes sell within a 20% range…I’d just hate to be one of those homes in the remaining 11%. The reality is that to come up with a value of a property, you really need to calculate it on a case by case basis. You really need to consider every single home on a case by case basis on its own to come up with a reasonable value. This is something that an algorithm isn’t able to do within a reasonable amount of accuracy. So for anyone out there, it’s important not to rely on Zillow’s estimates. If anything, just ignore them or use them exclusively just for entertainment purposes only.